A Royal Australian Navy vessel HMAS Leeuwin is in the country for the first time in eight years. As part of its regional engagement, the vessel will carry out seabed mapping operations with the Fiji Hydrographic Office. Sixty five crew members including surveyors on board the HMAS Leeuwin will spend a month in the country. 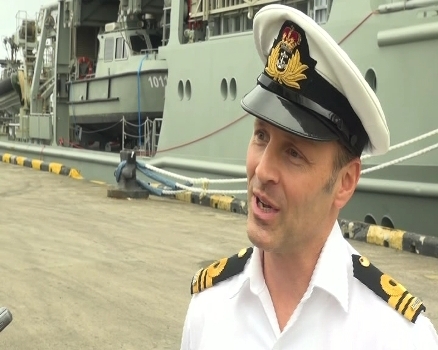 Commanding Officer Lieutenant Commander Richard Mortimer says their assignment will take them to Rotuma, Lautoka and back to the Suva Harbour for seabed mapping exercises. The vessel will leave for Rotuma on Wednesday for a ten day survey. The last mapping activity conducted in Rotuma was in 1896 by British explorer and navigator Captain James Cook. The visit builds on talks between Fiji’s Minister for Defense and the Vice Chief of the Australian Defense Force last December on the renewed maritime security partnership between Australia and Fiji. The Fiji Military Forces via the Naval division and the Royal Australian Navy will also undergo combined training exercises in fighting a fire or flood in a ship and broader defense activities.